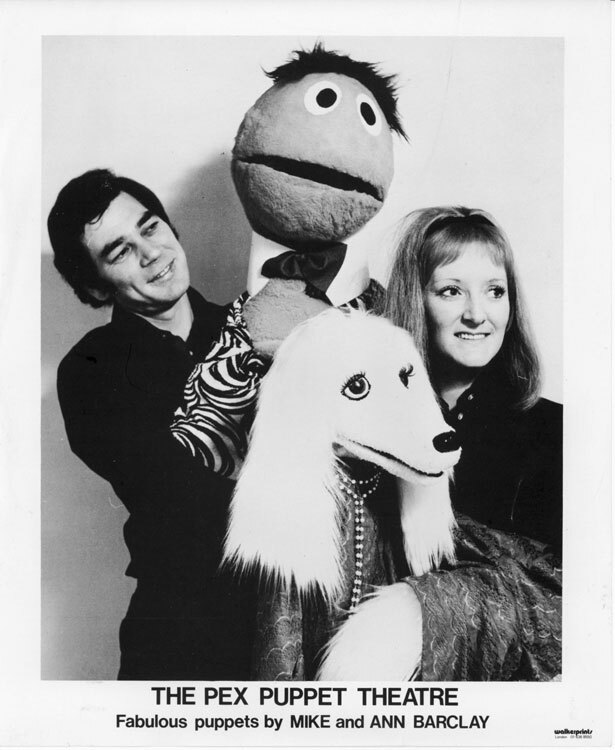 Ann and Mike Barclay first met at The Royal Academy of Dramtic Art, in London, where they were studying as actors. 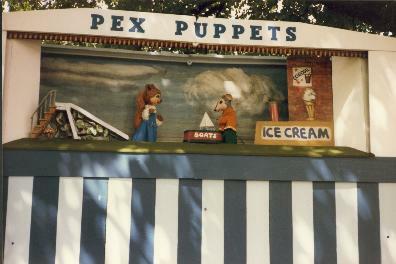 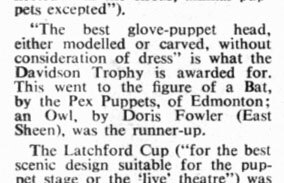 With a love of puppetry from childhood, they formed Pex Puppets in 1963, originating a childrens' puppet play with woodland animals as the cast. 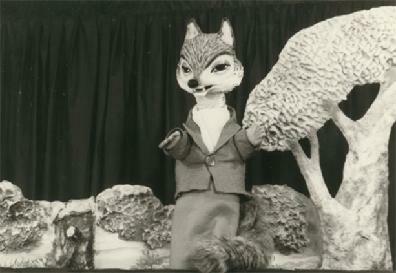 Their first play, "The Picnic" introduced the world to Squirrel and Mouse, Fox and Weasel, and fatherly Mr Badger; the central cast for the developing series of over 30 plays about "The Adventures of a Squirrel." 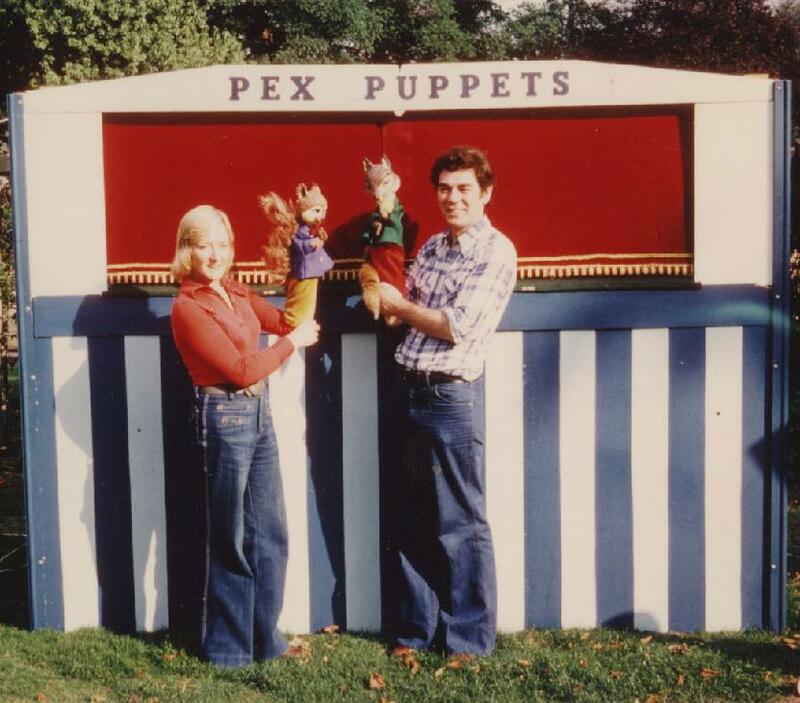 Mike and Ann designed and built all the puppets, the puppet stages, the scenery and props. 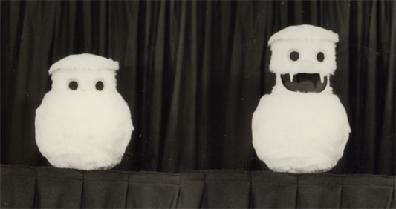 They were business managers, accountants and contract negotiators. 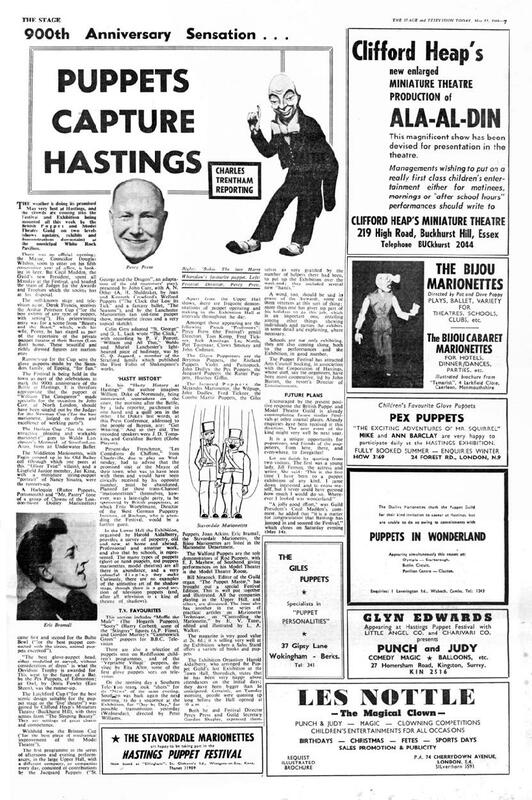 They did everything themselves. 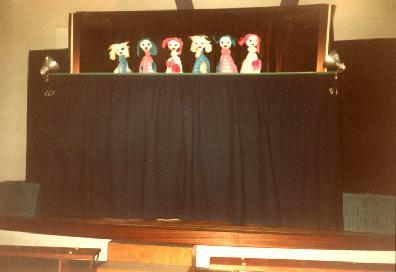 They have performed to well over a million children over four decades, in theatres, parks, schools, and homes throughout Great Britain and Europe. 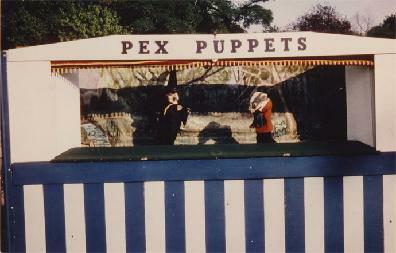 As their brochure of the mid 1960's exclaimed, Pex Puppets are "Children's Entertainment at it's best!" 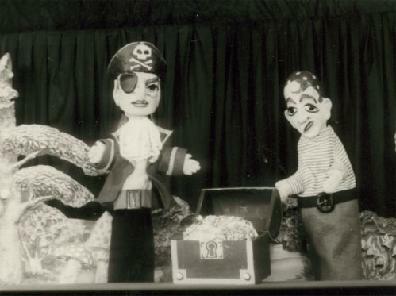 As members of the British Puppet and Model Theatre Guild, Ann and Mike co-ordinated Puppet Festivals in Harrogate and Hastings.